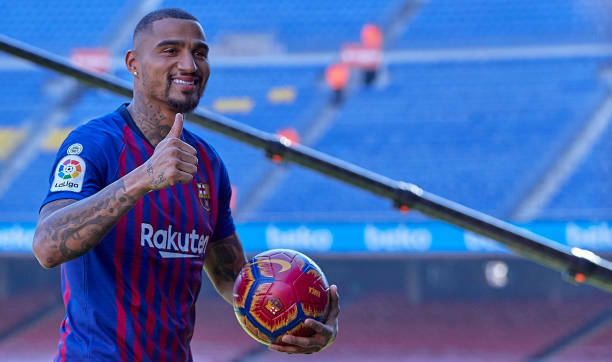 Loan star Kevin-Prince Boateng want to impress Barcelona enough to earn a permanent deal. The 31yrs old Ghana star has made a shock loan loan switch from Sassuolo to Barca on Monday, with the Catalans having option to make the move permanent for £7.1m. But at a conference at the Nou Camp on tuesday, Boateng, who sees himself as a forward these days, believes he can help aid Barca treble bid. “It's an incredible feeling to be here. “Yesterday I was sad because I was happy in Sassuolo, but this was a great opportunity and I couldn't say no. “I wanted to come to Barcelona, as soon as i heard of their interest I spoke to my agent. It's a dream and a great honour. “This is a test and I know I haven't arrived as a starter, but I want to play well and stay for many years, that's my goal. “At almost 32yrs old, the role of a number nine is perfect for me.